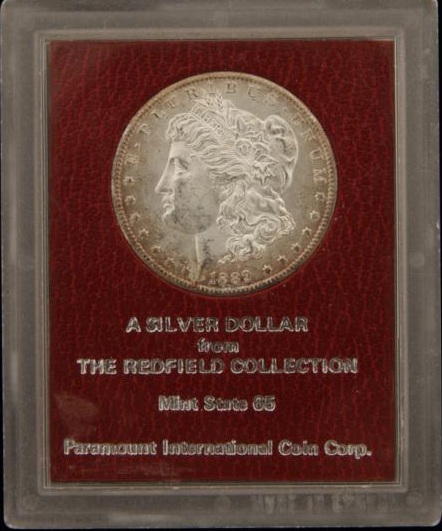 Auctioneers often confuse Redfield dollars–one of the most sought after pedigrees–with Paramount dollars. They are not the same. Paramount purchased the Redfield hoard and marketed the coins in the red holder, if they were uncirculated, and in a black holder, if they were circulated. Redfield dollars usually carry a premium. Paramount dollars not so much. 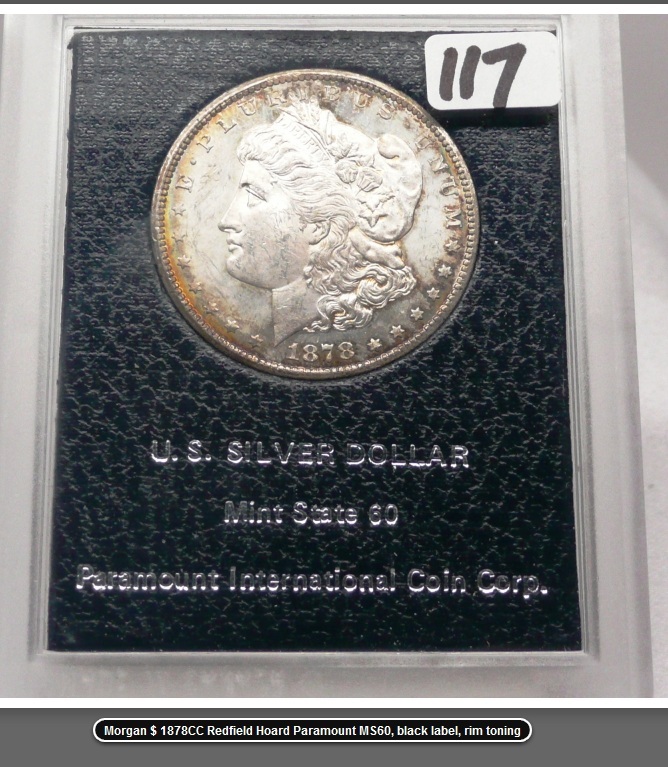 Here are two thumbnails of Morgan dollars. The first below was labeled “Redfield” in a Proxibid auction when it should have been labeled “Paramount.” The second is a genuine “Redfield” holder. Click to expand the photos. Paramount sold Redfield dollars, which became very popular. The company then began putting their own dollars in similar red or black holders. True Redfields came from the hoard of investor LaVere Redfield. His estate was valued over $100 million and contained a huge hoard of Morgan and Peace dollars. One more tip: Don’t go by the grade on the holder. There were only two grades when Paramount began holdering those dollars: MS60 and MS65. An MS62 today would be labeled MS60; an MS63 would be labeled MS65.